Bruce Springsteen is 63 years old. Despite that fact, he continues barnstorming arenas and stadiums worldwide, his band expanded and his message considered and clear [Editor’s Note: check the review of his recent Toronto visit here]. For the past thirteen years, since he got the E-Street Band back together, the Boss has preached love, faith and brotherhood. Love of your family, your friends, your home. Faith wherever you can find it; in yourself, in those same loved ones, in religion for some, in the streets for others. And above all, he preaches brotherhood. The idea that all of us together are equal to more than all of us apart. The message is a noble one and his dedication to its delivery is evident, each and every time he takes the stage, playing marathon shows that are equal parts rock concert, party and event. 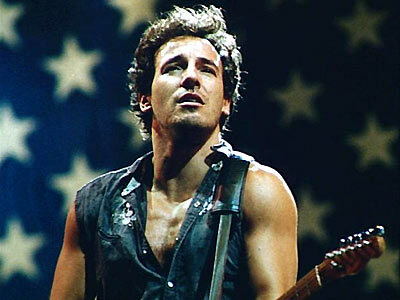 Yes, more thoughts on Bruce Springsteen. The career arc of Springsteen is a unique one. Borne out of Jersey shore clubs and Greenwich Village coffee houses in the late 60’s and early 70’s, he struggled mightily to make his name at first. He dealt with, at various times, contentious band members, over-zealous and dishonest management and his own almost crippling dedication to perfection. In the ten years from 1975-1985, he reached the absolute zenith of his craft; respected by critics, adored by the public and wealthy beyond measure. And then he walked away. At the absolute height of his popularity, he said he wanted to try something different, playing with different musicians and making different types of music. Truth be told, after fifteen years of touring and playing those massive shows every night, he was probably a little bit bored. I was doing my best to think of parallel for this career, not just someone who walked away at their highest moment, because there are plenty of examples of that. But someone who walked away, took a significant break and then actually returned and were able to regain most of that past glory. It eluded me for a long while, to the point that I really stopped thinking about it. Then one day, as I was trawling old NBA articles online, it hit me. Now this comparison can only realistically go so far, as music and sports are not always perfect bedfellows. Michael Jordan’s body can no longer perform the way it used to, and that is the sole reason he isn’t still playing basketball. Springsteen will likely keep making music until he dies and doing it in a manner that he finds satisfying. But when you examine their early careers, the parallels are actually fairly eerie. Like Mike? Apparently, the Boss. Springsteen was signed by Columbia records in 1973, and made his first two albums, Greetings From Asbury Park, NJ and The Wild, the Innocent and the E-Street Shuffle in the year that followed. Springsteen had been labelled one the ‘new Dylan’s’ along with Loudon Wainwright III and others and massive pressure was placed on him to succeed. While these first albums were critically acclaimed, they sold poorly and Springsteen was on the outs with Columbia Records. His live shows quickly became the stuff of legend however, leading to Columbia giving him a final chance. Jordan’s love for basketball was instantaneous, but he was cut from his high school team each year until he was a senior. He then exploded onto the scene, attending North Carolina and leading the Tar Heels to a National Championship. 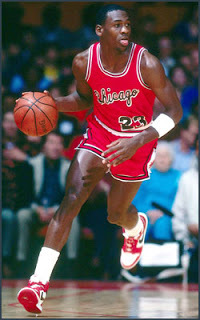 Jordan was then drafted 3rd overall by the Chicago Bulls in 1983, and was an instant hit on a bad team, winning the Rookie of the Year award for 1984, while earning 2nd team all NBA honours. However he broke his foot early in the 1985 campaign and missed most of the season. He then spent the rest of the 80’s dominating with little help; he won the 1987 league MVP and defensive player of the year awards and carried a subpar team to the playoffs. 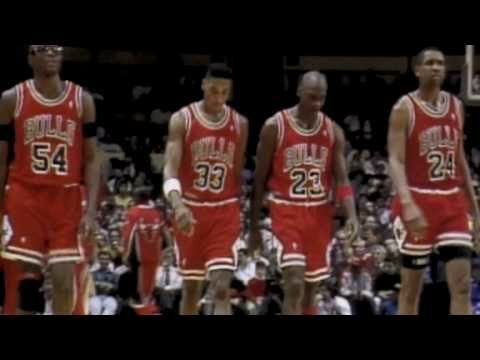 Scottie Pippen was drafted to help him, but was an extremely raw talent and Jordan, after his tough first few years in Chicago, instinctively distrusted his teammates. In 1975, Springsteen obsessed over his ‘final shot’ with Columbia Records, spending more than a year recording his third album. Original band members Vini Lopez and David Sancious had been fired and quit, respectively, being replaced with Max Weinberg and Roy Bittan. He spent more than six months working on the title track and near the end of recording, spoke of throwing the record out entirely and just putting out a live album, such was his frustration with the material. His relentless dedication to perfection nearly fell short however, when he couldn’t get the horns the way he wanted them to sound on one of the albums catalyst songs. He brought in childhood friend Steve Van Zandt to help with the arrangement, eventually making Van Zandt a full band member and rhythm guitar player, rounding out the sound of the band. 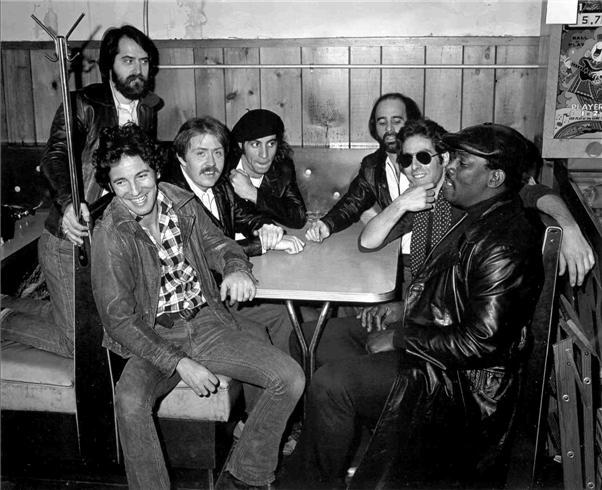 Saxophone player Clarence Clemons took a much bigger role on this album, as Springsteen’s trust in him grew; a lifelong bond had been formed between the two during their touring in the two years prior to recording. In 1990, the whispers about Jordan, much like Springsteen in ’75, had started. He couldn’t win the big one. He would never get past the Pistons, and if he did, he certainly couldn’t get past Magic and the Lakers. He could win MVP’s but he wasn’t a team player. And the naysayers were right; he would never win the big one until he trusted at least some of his team mates, to a degree. That’s why the emergence of Pippen (Clemons) and Horace Grant (Van Zandt) to be his running mates and his support system eventually allowed Jordan’s Bulls to topple the Pistons and annihilate Magic’s Lakers, in the same year no less. Jordan was still a relentless perfectionist with a work ethic that his team mates couldn’t hope to match. But he also realized that he couldn’t do it alone. Jordan got his first title when he learned to trust in his team mates. Springsteen got Born to Run when he learned the same lesson. Their stories from there mesh even further. Armed with their newfound ‘teams’ and their unmatchable competitive thirst to be the best, Springsteen and Jordan took their respective worlds by storm. After a lengthy court battle, reminiscent of Jordan’s famous contract disputes with Bulls ownership, Springsteen released a succession of number one records over six years (Darkness on the Edge of Town, The River and Born in the USA), from 1978-1984. Jordan won two more championships, for three in a row, becoming the first team to do so since the Boston Celtics of the 1960’s. Jordan and Pippen became the most dynamic duo in the NBA; Springsteen and Clemons became famed for their live antics, which were front and centre during the iconic E-Street Band shows. Grant and Van Zandt quietly did the dirty work, Grant getting rebounds and playing hard down low, Van Zandt arguing with Springsteen when nobody else would, pushing him when he needed pushing and backing off when appropriate. Both Grant and Van Zandt eventually left, though Grant’s departure was more bitter in nature. Tired of being the ‘third-wheel’ in Chicago, Grant took a big contract to go play alongside new star Shaquille O’Neal in Orlando, where he eventually wound up as the third wheel again, to Shaq and Penny Hardaway. Van Zandt, perhaps wanting to get a break from the drastic touring, but also wanting to step out of Springsteen’s shadow, got married and started his own band, leaving the E-Street Band after the recording of Born in the USA (1984). Springsteen had further success with the Tunnel of Love album, released in 1987, but the material was a departure from what fans had come to know and love. More serious in nature, the material was dark at times and seemed to reflect Springsteen’s own deteriorating personal life. Jordan spent the summer of 1992 with the US Dream Team, searching for greater competition; After winning three straight titles and being snubbed on what likely should have been his fourth MVP trophy, Jordan recognized that he was at the apex of his abilities and had no true peers. Both of these men were titans of their industries, the envy of everyone on the planet. Both men were desperately, longingly unhappy. Check back tomorrow for Part 2, in which we follow the Boss and His Airness on the search for their own personal truth, with both men coming to striking realizations that neither could have anticipated. Who is Jordan’s Ernest “Boom” Carter? I’m not in charge of the photos, but yes, I should have seen that earlier. MJ’s Ernest ‘Boom’ Carter doesn’t exist… however, there are further personel parallels that didn’t make the article. John Landau is Phil Jackson, which makes Doug Collins Mike Appel. Nils Lofgren is Dennis Rodman/Tony Kukoc, which is the first and last time those two will ever be compared to the same person. David Sancious is Charles Oakley, because he was badass and left too early, but for the best.